Overcast. High near 50F. Winds WNW at 10 to 20 mph..
A few clouds. Low 37F. Winds W at 5 to 10 mph. State police personnel remove hazardous materials after authorities raided a suspected methamphetamine lab at 54 Orchard St. in Auburn Nov. 9. Thomas L. Hutton, 54, of 54 Orchard St., Auburn. He was charged with second-degree manufacture of methamphetamine, third-degree criminal possession of a weapon and fourth-degree conspiracy. He was remanded to Cayuga County Jail in lieu of $5,000 cash or $10,000 bond. An arrest has been made following the discovery that an Auburn home was being used to manufacture methamphetamine. 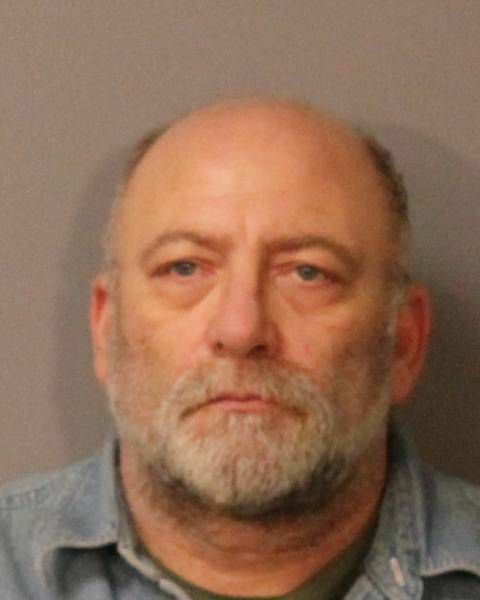 The Cayuga County Sheriff's Office said Monday that Thomas L. Hutton, of 54 Orchard St., Auburn, was arrested Nov. 21. Hutton has been charged with second-degree unlawful manufacture of methamphetamine because the drug was being produced in the presence of children under the age of 16. Hutton was also charged with third-degree criminal possession of a weapon and fourth-degree conspiracy. He was arraigned in Auburn City Court and remanded to Cayuga County Jail in lieu of $5,000 cash bail or $10,000 bond. The Finger Lakes Drug Task Force raided Hutton's Orchard Street home on Nov. 9. Authorities said at the time that multiple people were found to be "actively engaged in the production of methamphetamine." Orchard Street between Baker and Jefferson streets was closed for several hours as police conducted the raid and removed hazardous materials from the scene. There were other adults and children in the home at the time of the raid. The investigation is continuing, the sheriff's office said. More arrests are expected. Anyone with information about this case should contact Detective Blanchard at (315) 253-3902. Tips can be left on cayugasheriff.com. Tipsters may remain anonymous. HIT: To another festive and fun holiday season parade in downtown Auburn. The Citizen's top 5 most-read stories of the work week. The Citizen's top 10 most-read stories of the week. The Citizen's top 10 most-read stories of November. New adoptables in Auburn and Cayuga County. Pick your new dog or cat!